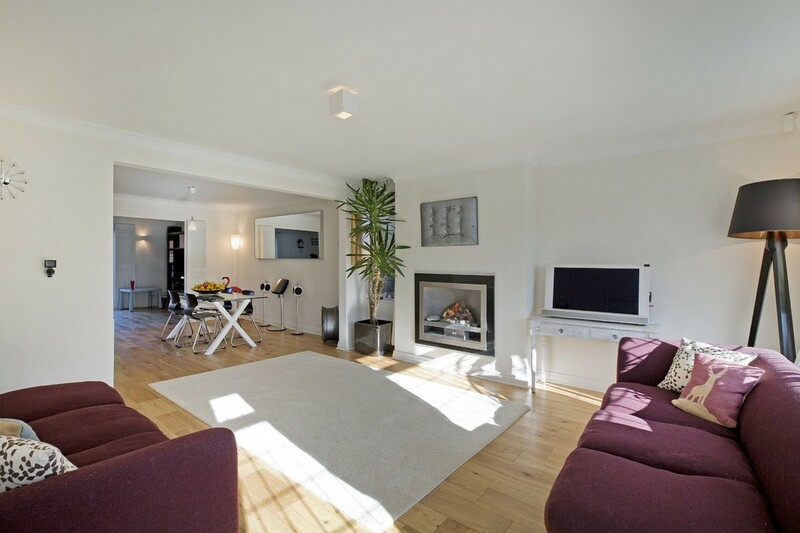 THE IMPRESSIVE SIZE of this IMPOSING DETACHED RESIDENCE is impossible to assess from the outside and therefore an internal inspection is strongly recommended to appreciate the EXCEPTIONAL RECEPTION SPACE which is in a MOST IMAGINATIVE, CONTEMPORARY STYLE, OPEN PLAN ARRANGEMENT and ideal for relaxed living and also for entertaining, particularly for parties and larger family gatherings. 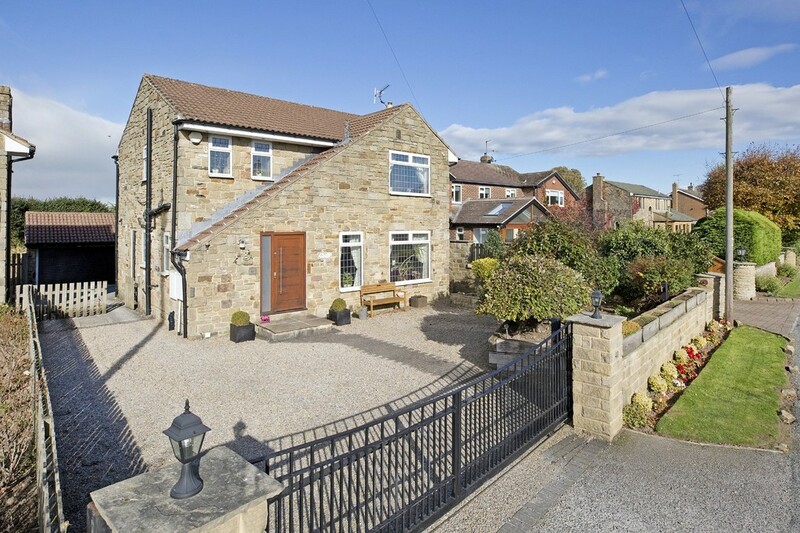 This MOST APPEALING FAMILY HOME benefits from a lovely, southerly-facing aspect to the front, providing excellent natural light and some natural warmth to the rooms on this elevation and three of the four bedrooms have the pleasure of MAGNIFICENT, PANORAMIC DISTANT VIEWS across and up part of the Wharfe Valley. 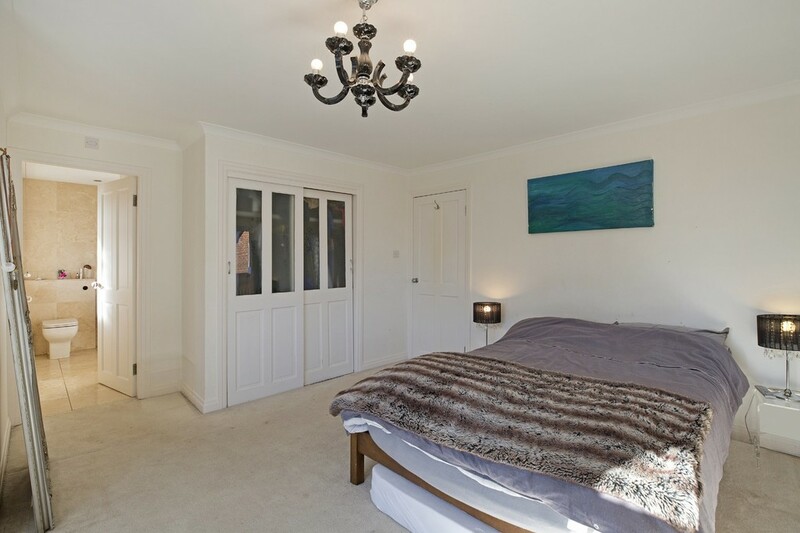 The IMPRESSIVE MASTER BEDROOM OF GENEROUS PROPORTIONS also has the advantage of AN EN-SUITE BATHROOM OF GOOD SIZE and there is a SMART, FULLY TILED SHOWER ROOM serving the other three bedrooms. 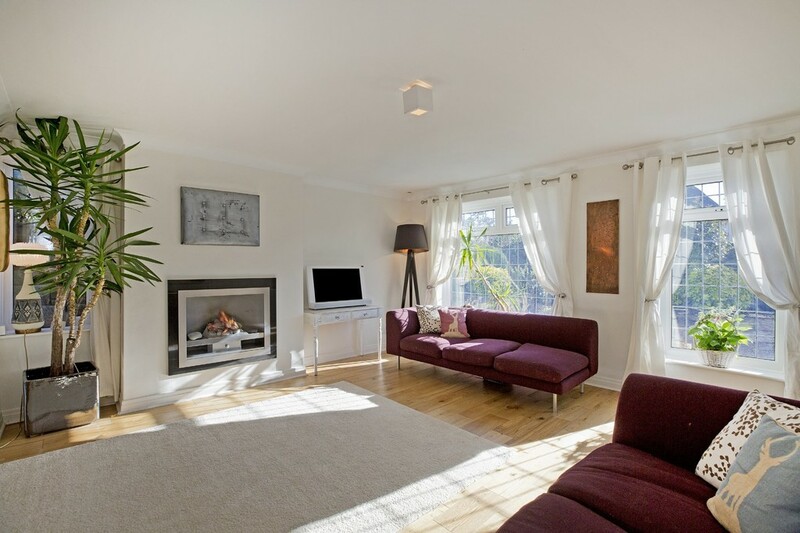 There are MANY EXCELLENT FEATURES including the SUPERB, WELL PLANNED BREAKFAST-SNACK KITCHEN which has been TASTEFULLY and GENEROUSLY RE-FITTED in recent years and the property, which, is also decorated in light mainly neutral schemes, is further enhanced by the VERY PLEASANT PRIVATE REAR GARDEN, which includes an extensive raised decked area for outdoor entertaining. 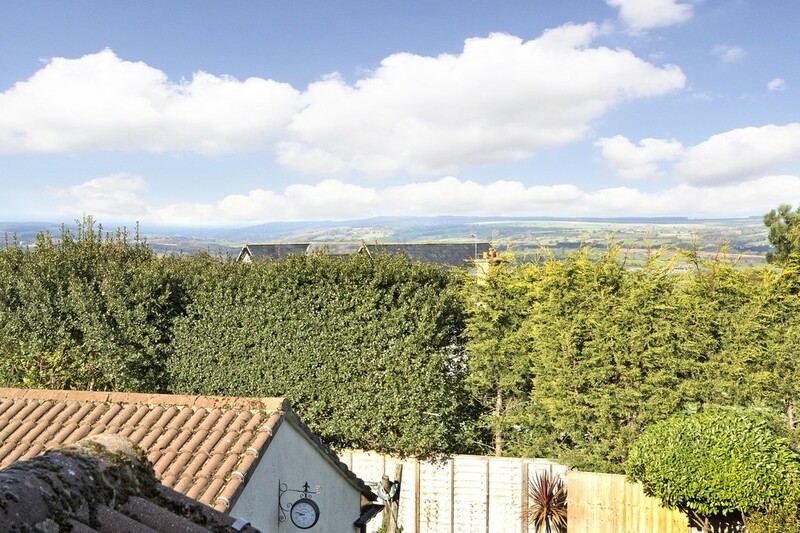 Located on this DELIGHTFUL SEMI-RURAL LANE and CLEVERLY STAGGERED with the adjacent properties to create a degree of individuality, the property is ideally situated within relatively easy walking distance of the village centre (less than 15 minutes) and only five minutes' walk from BEAUTIFUL OPEN COUNTRYSIDE which forms part of the Ebor Way. 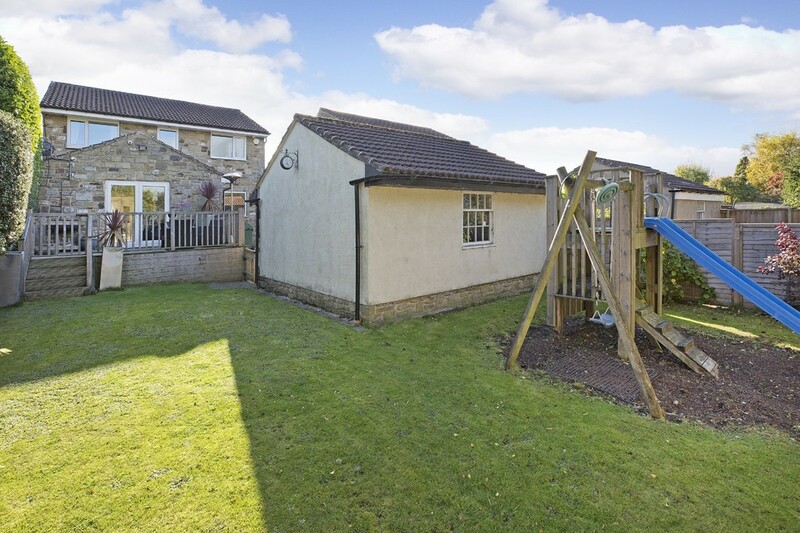 AMENITIES: BRAMHOPE is located approximately eight miles north of Leeds off the A660 and is also within comfortable daily commuting distance of the other commercial centre of Bradford and the former spa towns of Harrogate and Ilkley. 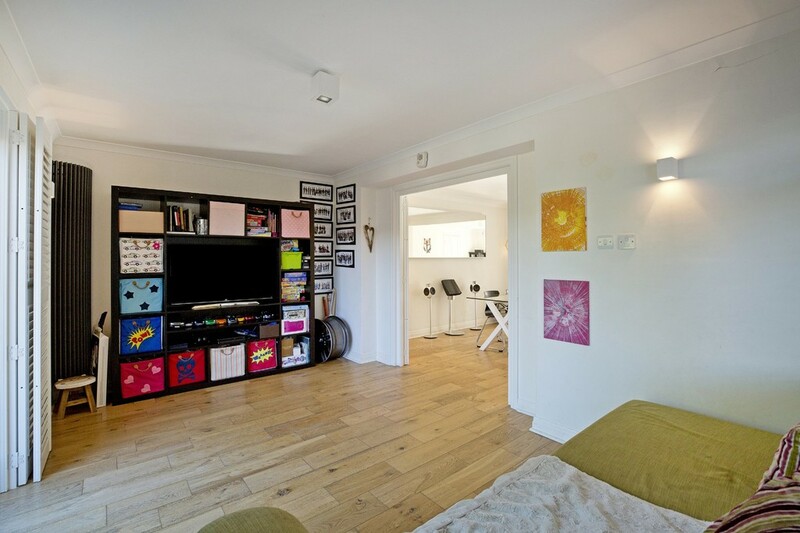 The historic, active market town of Otley is about 10-15 minutes' drive and offers an excellent choice of shopping facilities including both Waitrose and Sainsbury's supermarkets and other family amenities. BRAMHOPE VILLAGE has a range of local shops including a chemist, a newsagent and a bakery and there are also hair and beauty salons and a welcoming public house in the village centre. 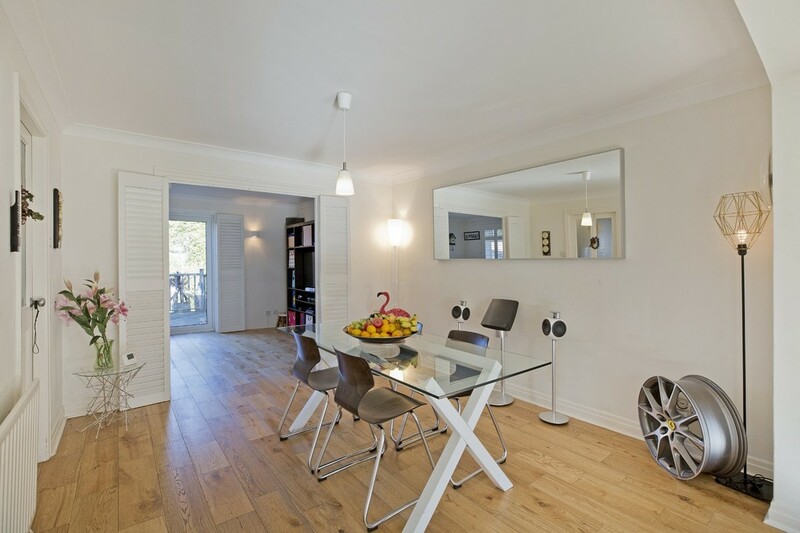 There is a butchers and a cafe as well as a dry cleaners plus another newsagent on Tredgold Avenue - barely ten minutes' walk from this property. 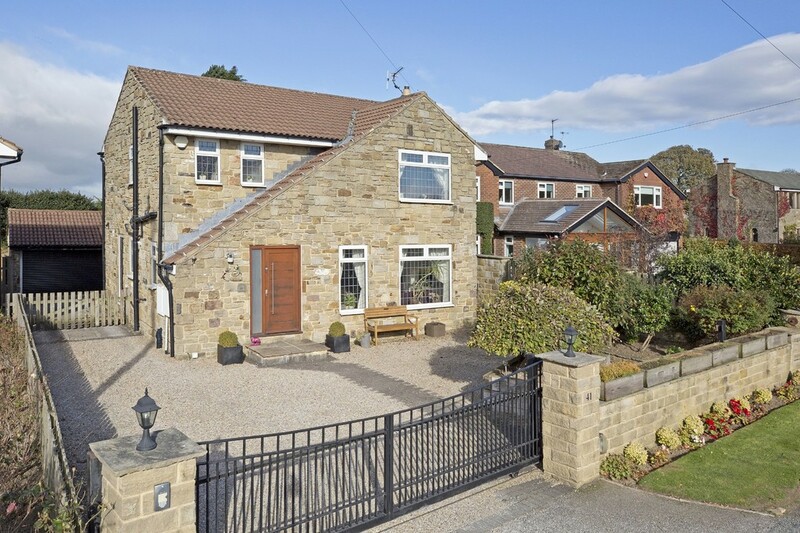 THE RENOWNED VILLAGE PRIMARY SCHOOL is barely one third of a mile away and approximately 10-15 minutes' walk, as is Chevin Medical Practice/Bramhope Health Centre, which is adjacent to the school. 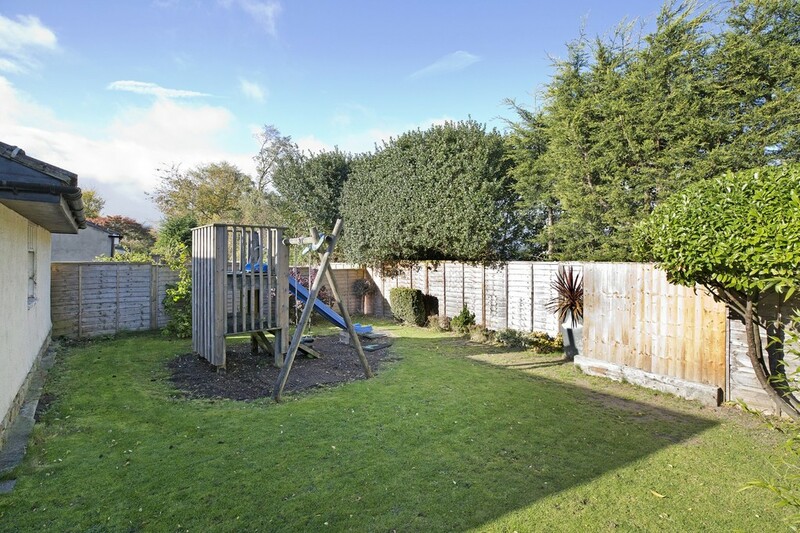 There is also a selection of recreational facilities to suit a range of age groups including a young children's play area (swings and slides, etc) on The Knoll, which is a very pleasant grassed area with established trees in the village. 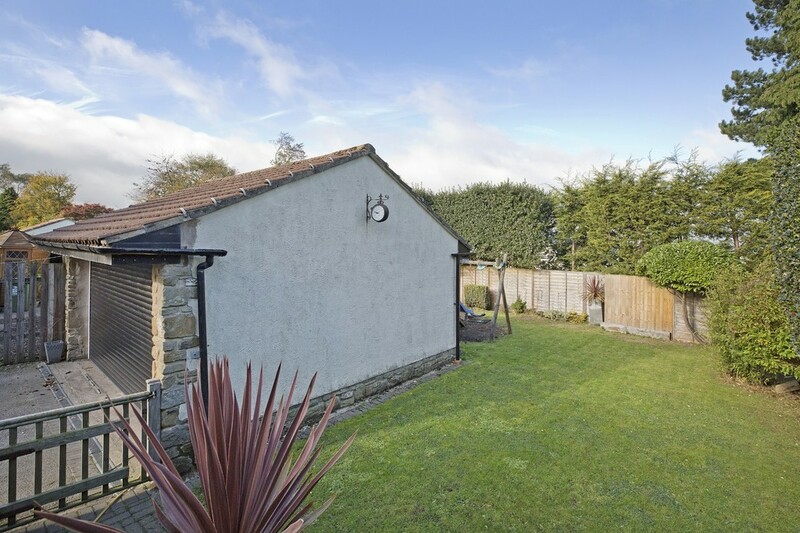 There is ALMOST IMMEDIATE ACCESS TO DELIGHTFUL OPEN COUNTRYSIDE (about five minute's walk from the property) providing rural walks and rambles and featuring part of the Ebor Way. The proximity of Breary Lane East to fields and woodland ensure an interesting variety of birdlife and wildlife to observe and enjoy and there are regular sightings of Red Kite overhead. The famous Golden Acre Park is only a few minutes' drive and Leeds and Bradford Airport between 10-15 minutes' drive. There are public transport facilities to Leeds city centre via Headingley and the university, on Leeds Road - which is only several minutes' walk and in the other direction, also on Leeds Road, to Otley, Ilkley and Skipton. DIRECTIONS: FROM THE MAIN LEEDS/OTLEY ROAD (A660) in Bramhope - near the parades of shops and pedestrian traffic lights, turn into Breary Lane East (at the junction with Breary Lane) and proceed forward for a couple of hundred yards or so and as the road bears sharply round to the left into Creskeld Lane, fork right (see one of the village notice boards on the corner) into the continuation of Breary Lane East. This property is then a short way along on the left. "L" SHAPED RECEPTION HALL With oak panelled floor, enhancing the charm and character on entering and complementing the front door. Deep recessed cloaks hanging cupboard, central heating radiator concealed behind a decorative fret work cover, the wall mounted security audio answer handset and halogen down-lighters to the ceiling. 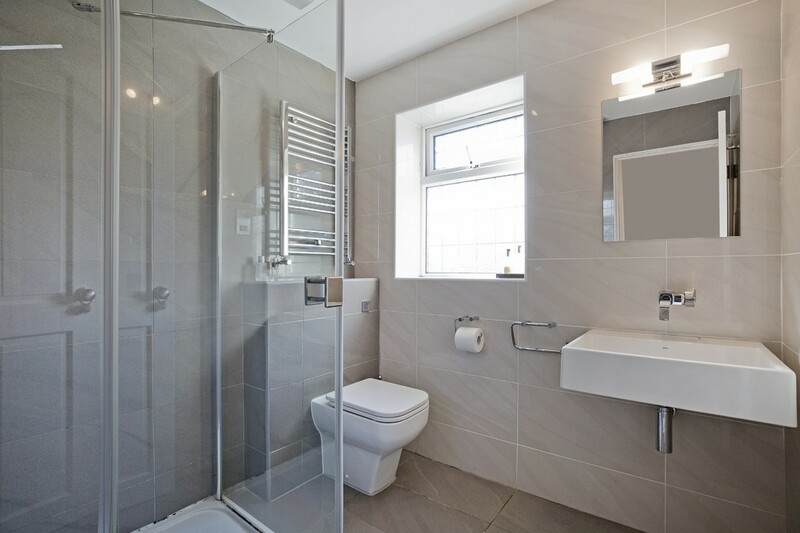 FULLY TILED GUEST CLOAKROOM Including a tiled floor - in a contrasting dark tile with the wall tiles and the modern white fittings comprise low suite WC with concealed cistern and wall hung wash hand basin with chrome dual flow tap. Chrome ladder towel radiator and UPVC double glazed sealed unit leaded window with attractive autumn leaf patterned glass for privacy. Three halogen spotlights on track to the ceiling. 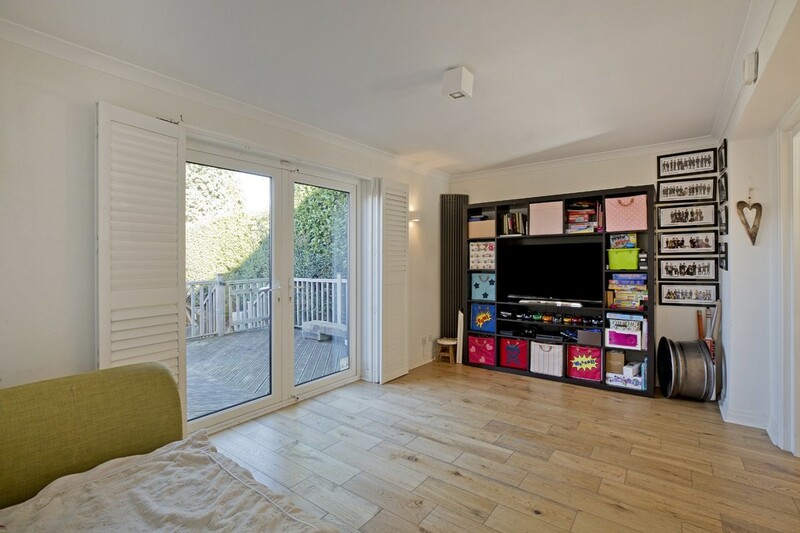 FAMILY SITTING ROOM/"SNUG" With wide UPVC double glazed sealed unit window to the side elevation including a large "picture" panel and fitted adjustable internal wooden shutters with adjacent vertical contemporary corner central heating radiator. 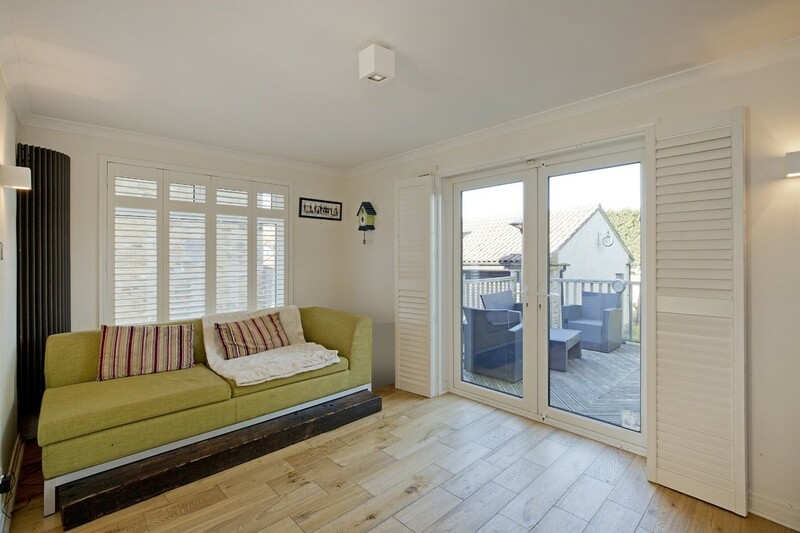 There are also virtually floor to ceiling UPVC double glazed sealed unit French style doors providing direct access to the extensive private decked area, which is ideal for outdoor hospitality/entertaining and with the advantage of no other properties' windows facing. 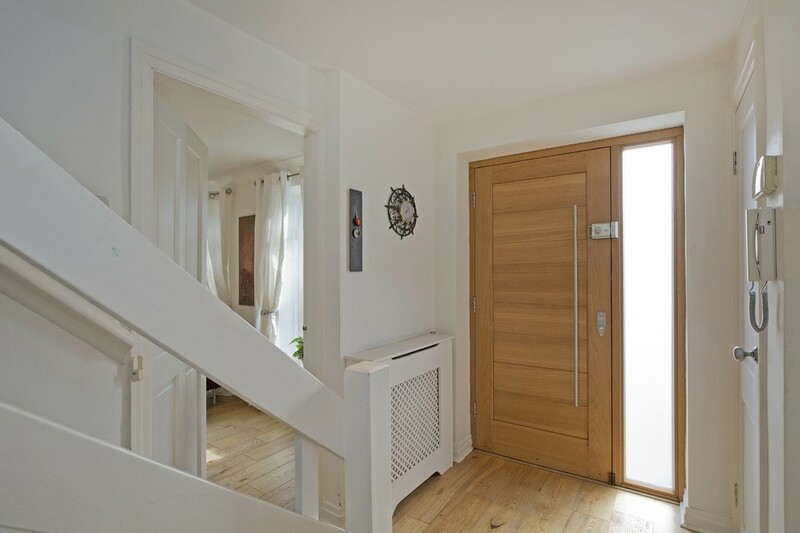 There are folding louvre style shutters, also to the French style doors and which complement the louvre style doors from the living-dining area. Two wall mounted down-lighters, for added effect. 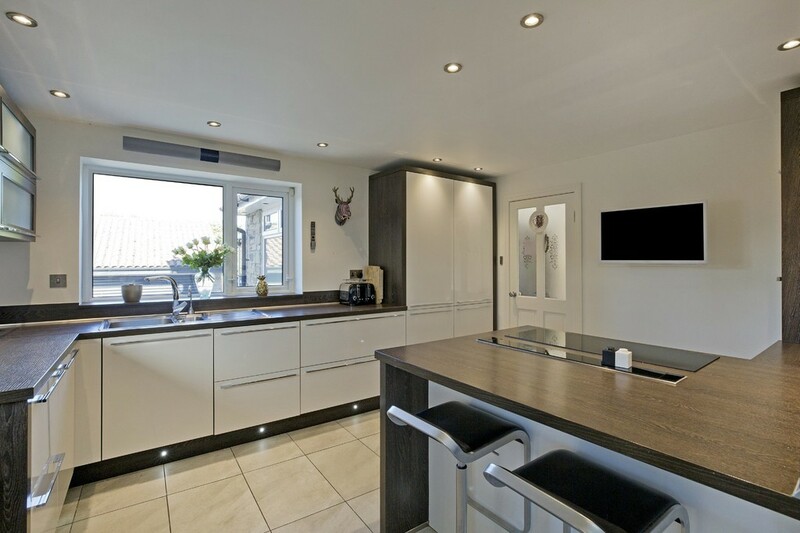 SUPERB OPEN PLAN BREAKFAST-SNACK KITCHEN And once again, ideal for family living and with a tiled floor which has THE BENEFIT OF UNDER FLOOR HEATING. 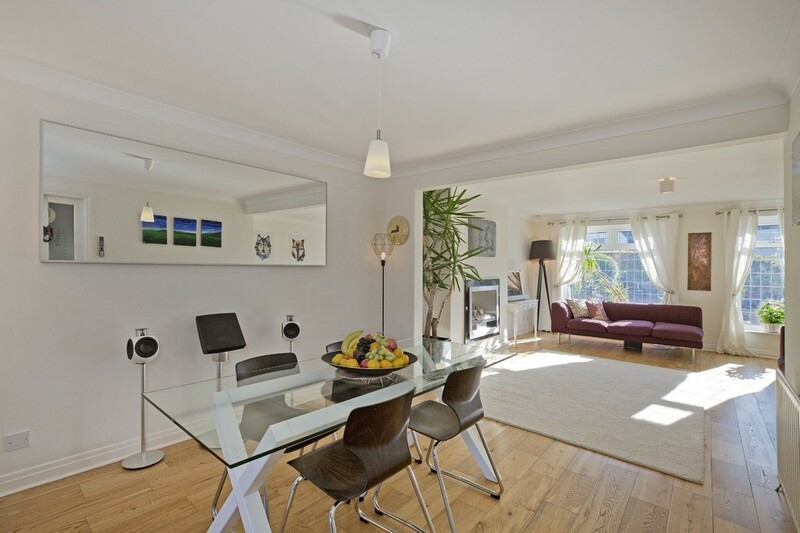 WELL PLANNED and VERY TASTEFULLY RE-FITTED (in recent years) with twin illuminated wall units which have glass shelves and folding smoked glass doors on a rising hinge mechanism for ease of access and a generous range of base units with long and wide dark wood style working surfaces, providing an attractive contrast with the light high gloss fronted base units. There are several wide and deep drawers including pan and crockery storage drawers and a FRANKE one and a half bowl stainless steel inset sink with single side drainer and chrome dual flow tap plus a separate tap providing instant hot drinking water and therefore no need for a kettle! 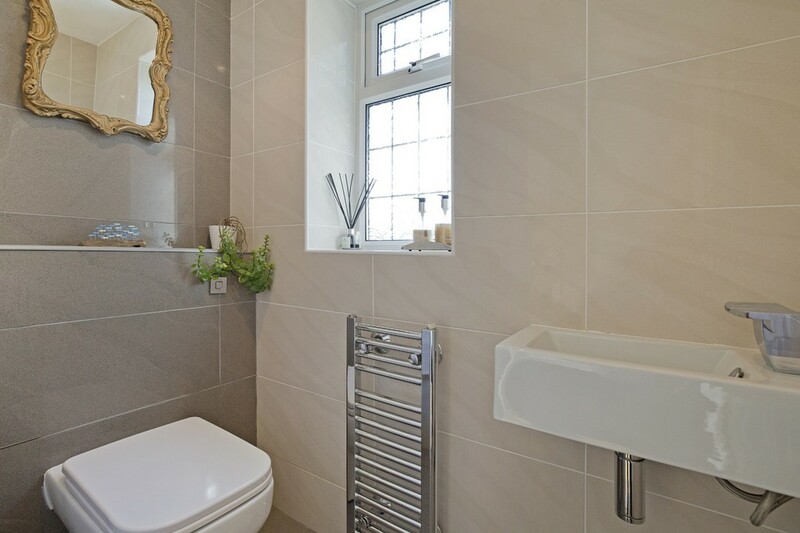 The sink is beneath the UPVC double glazed sealed unit "picture" panelled rear window and once again, with no other properties' windows facing. NEFF twin electric, fan assisted ovens with NEFF microwave above plus further cupboard space and NEFF induction hob with a further range of wide drawers beneath and slim-line NEFF retractable fan/filter and lights which also provides a stainless steel splash back to the hob. Integrated LARDER FRIDGE with adjacent INTEGRATED FREEZER and INTEGRATED AUTOMATIC DISHWASHER. The wall mounted Vaillant condensing combination central heating boiler is concealed from view and also has some further deep storage space beneath and the second UPVC double glazed sealed unit leaded window to the side elevation provides some valuable additional natural light to the far end of the kitchen and opposite which there is a useful deep under stairs storage cupboard with electric light and wide door - matching the doors to the kitchen units. 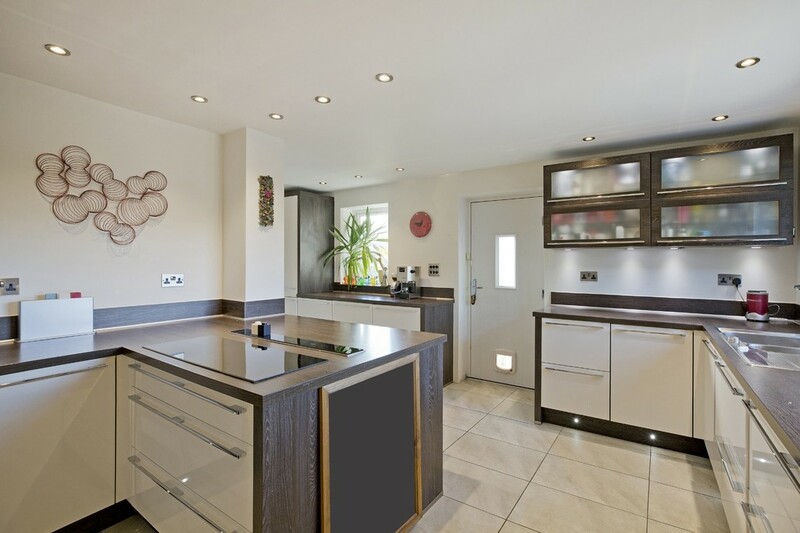 Peninsula style BREAKFAST-SNACK BAR and modern panelled style metal plated side outer door. 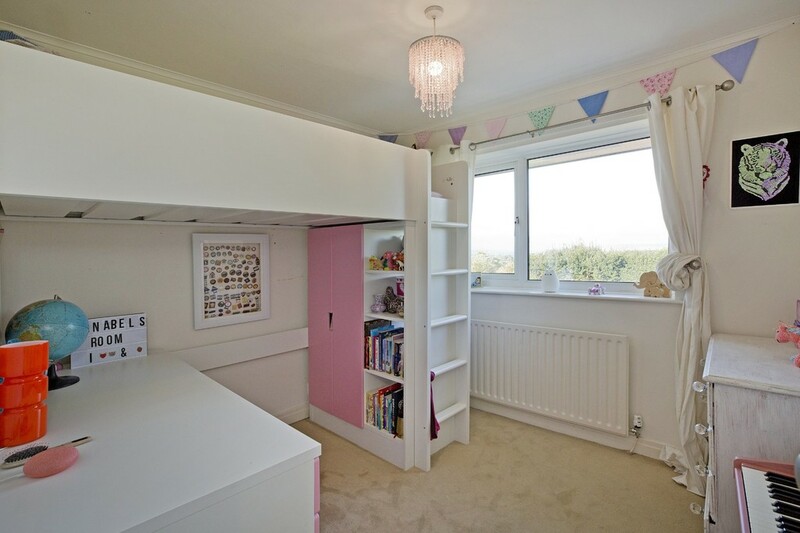 LANDING With the LOFT HATCH and a deep recessed, floor to ceiling wardrobe incorporating some useful linen storage space. BEDROOM 1 With UPVC double glazed sealed unit WINDOWS TO TWO WALLS providing excellent natural light and different aspects and the wide and tall main window, to the front elevation, incorporates decorative lead work and enjoys a lovely southerly-facing aspect providing some natural warmth. 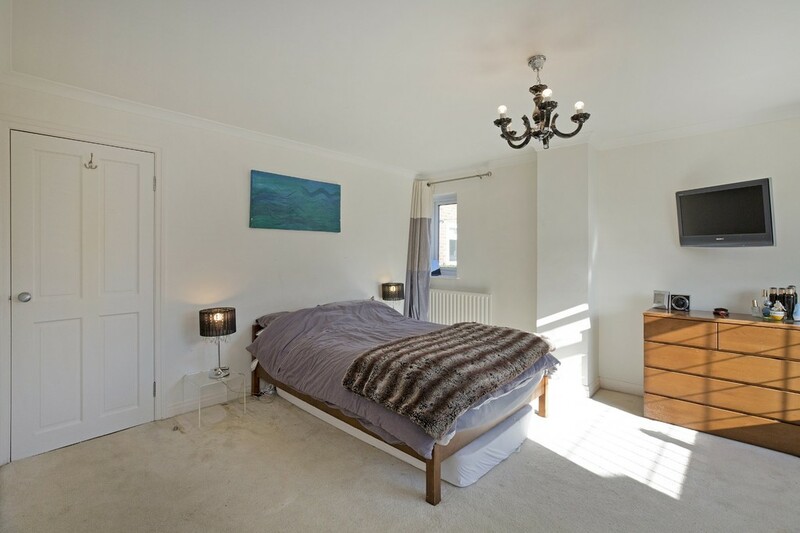 Central heating radiator beneath each window, cornice to the ceiling and FITTED WARDROBES with sliding doors (providing maximum clear floor space) and with decorative glass panels to half height. Separate useful deep store place for suitcases, etc. 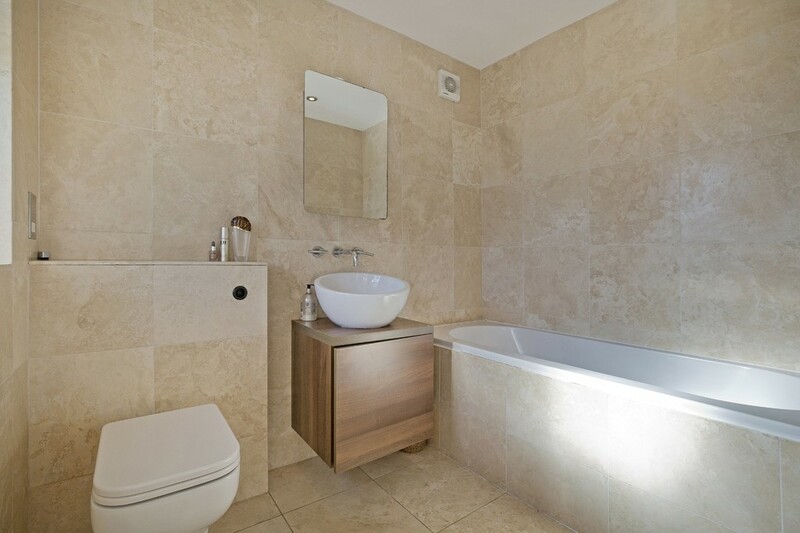 EN-SUITE BATHROOM With travertine tiles to the walls and the floor and the white suite comprises double ended bath with tiled panel and chrome taps, circular shaped wash hand basin with chrome dual flow tap and toiletries storage cabinet beneath plus a mirror fronted cabinet above and low suite WC with concealed cistern. Matching UPVC double glazed sealed unit leaded windows to the front elevation, with autumn leaf patterned glass for privacy, chrome ladder towel radiator and an extractor fan above the bath. BEDROOM 2 With central heating radiator beneath the UPVC double glazed sealed unit window, to the rear elevation, which has a "picture" panel framing the MAGNIFICENT, PANORAMIC, DISTANT VIEW ACROSS and UP PART OF THE WHARFE VALLEY and with excellent window privacy. BEDROOM 3 Also with UPVC double glazed sealed unit "picture" panelled window and central heating radiator beneath and from where to enjoy THE SAME SUPERB PANORAMIC DISTANT VIEWS as from bedroom 2 plus A LOVELY WIDE EXPANSE OF SKYLINE. 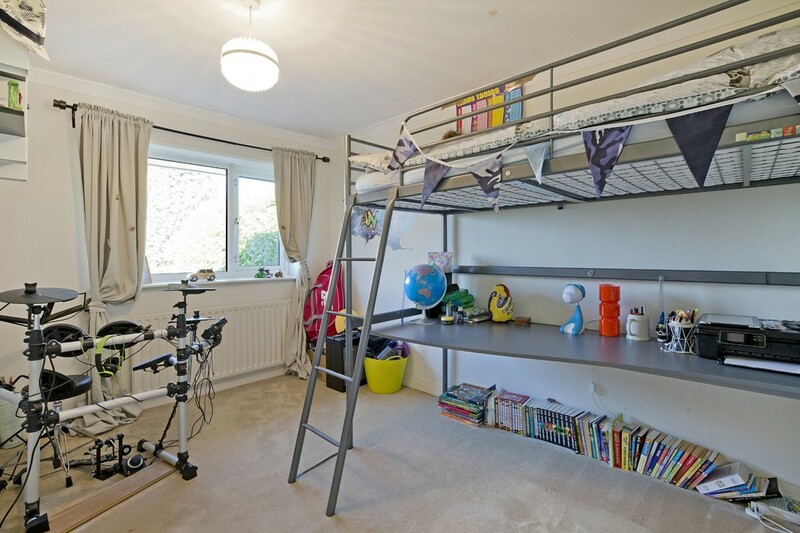 BEDROOM 4 OR HOME OFFICE/STUDY Which has a UPVC double glazed sealed unit window to the rear elevation, with central heating radiator beneath and NO OTHER PROPERTIES' WINDOWS FACING. This room also has the advantage of the superb distant views and the lovely wide expanse of skyline. SMART FULLY TILED SHOWER ROOM Which also has a tiled floor and the modern white fittings comprise wall hung wash hand basin with chrome dual flow tap and mirror above with light over and the THIRD LOW SUITE WC has a concealed cistern and is adjacent to the UPVC double glazed sealed unit leaded window with autumn leaf patterned glass. SHOWER CUBICLE with glass door and large tropical rain forest shower head plus a hand-held shower, extractor fan and wall mounted chrome ladder towel radiator. FRONT: A REMOTE CONTROLLED, WIDE, SLIDING WROUGHT IRON GATE with a stone pillar on either side and adjacent stone wall, provides access to the ORNAMENTAL GRAVELLED DRIVEWAY which incorporates a CAR STANDING AREA adjacent to the front door. 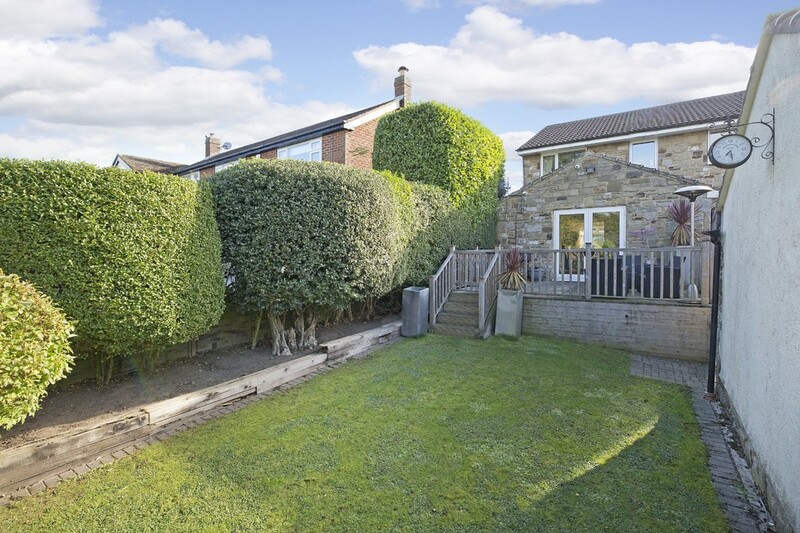 There is also a wooden planter with specimen trees inset and a gravelled area, in front of the property, if not used as a car standing space, would be ideal for tubs of shrubs and plant displays and garden relaxation furniture as it benefits from a southerly-facing aspect. 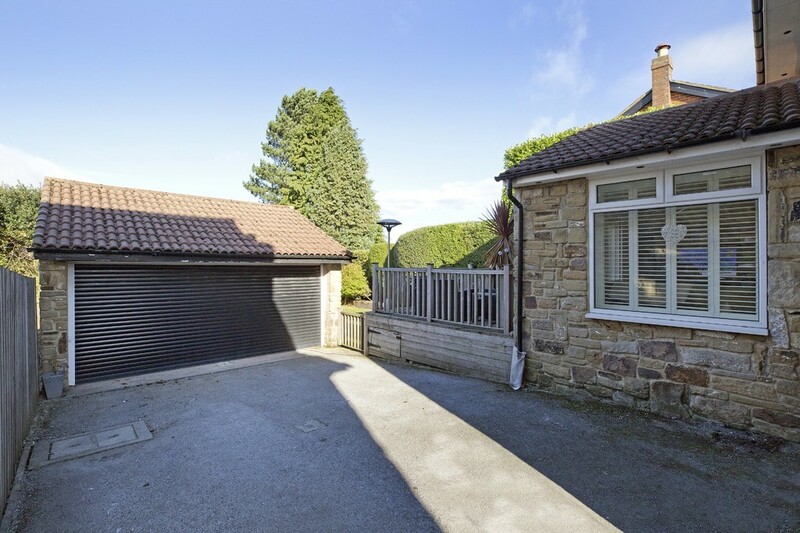 DETACHED TWO CAR (DEPENDING ON THE SIZES AND SIDE BY SIDE) GARAGE With an electrically operated, remote controlled roller shutter door, power points, strip lights plus some natural light and potential overhead storage space. REAR: THE VERY PLEASANT PRIVATE REAR GARDEN further enhances this lovely family home and comprises; extensive raised decked area to the immediate rear, for garden relaxation furniture and barbecue equipment and ideal for outdoor hospitality/entertaining and is enclosed by spindled railings. 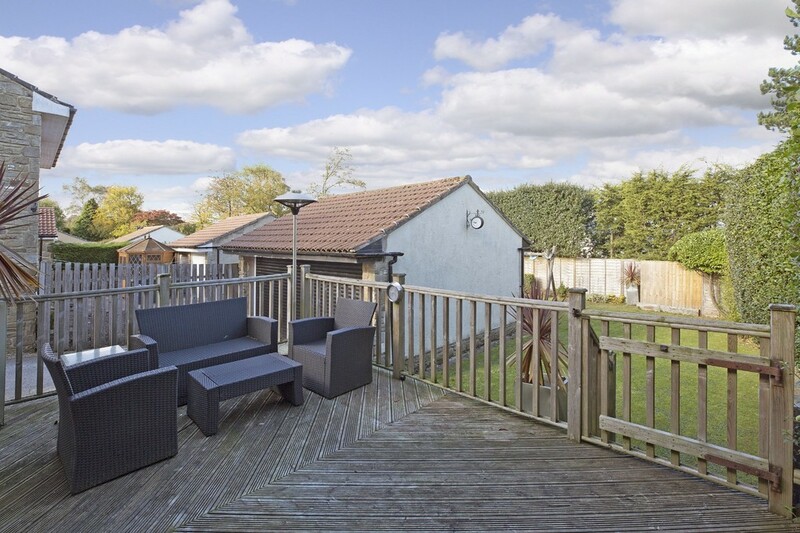 A hand gate and a short flight of steps provide access down to the neat bat 'n' ball lawn on a slightly lower level than the decking and with mature bushes including holly and Forsythia and there is also a concealed further decked area strategically placed for afternoon/early evening sunshine. Children's play equipment area behind the garage, which also has some colourful low-growing shrubbery. 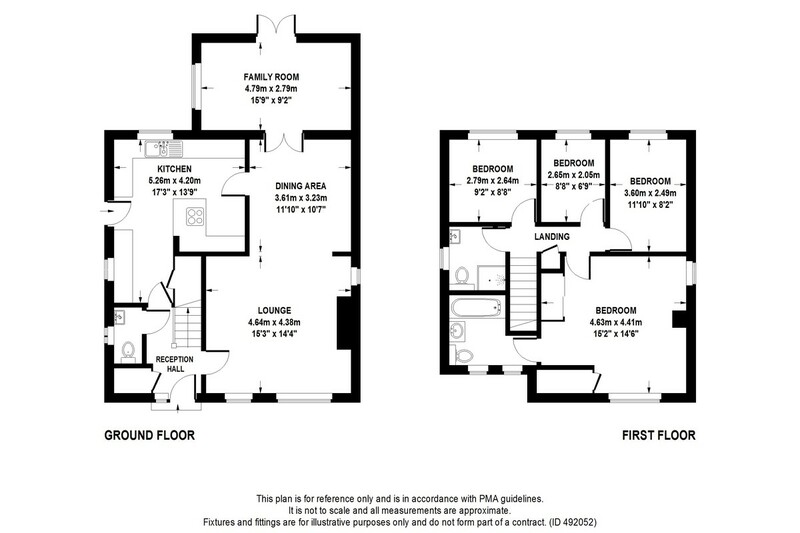 PLEASE NOTE: The extent of the property and its boundaries are subject to verification by an inspection of the deeds. VIEWING ARRANGEMENTS: Strictly by appointment through Walker Smale's Bramhope Village Office, telephone 0113-2843048.